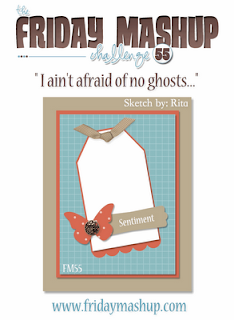 This week for The Friday Mashup Rita brings us a great sketch and also asks us to try the ghosting technique (which you can find here), also known as Versamark resist. I had never tried this technique before and so of course, I mashed up the challenge! I used The Open Sea set for this card. 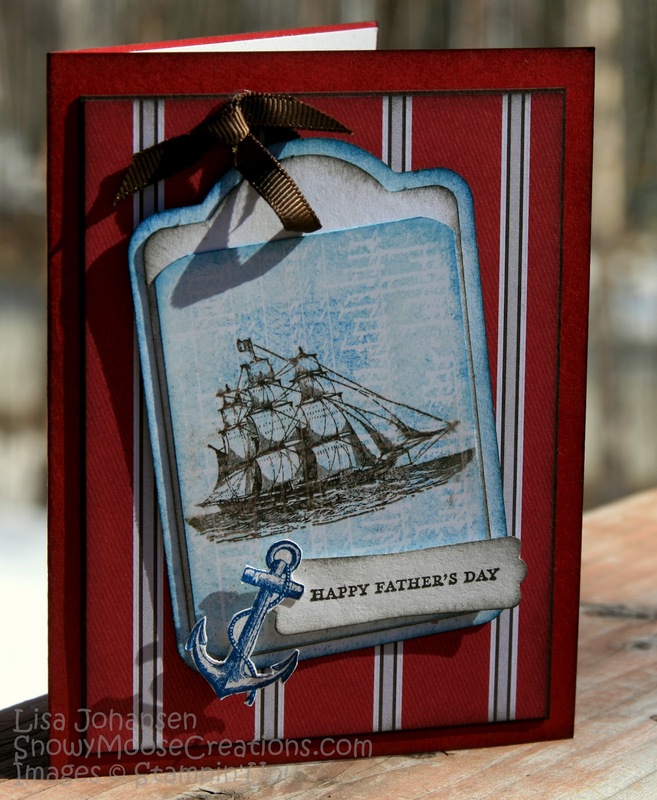 The background was stamped with Versamark on Glossy White cardstock and then I sponged Not Quite Navy over it. I used a paper towel to rub the ink off and I did it while the Versamark was still a bit wet, as I wanted a smeared look in spots, to make it look like something that was old and had faded over time. Then I stamped the ship in Early Espresso over the background. Make sure you head over to the Friday Mashup blog to check out all the great cards from the design team and then play along with us, we want to see how YOU interpret the challenge! Make a project using the " Sketch ". Or Make a project using the " Ghosting (aka VersaMark Resist) Technique". Or "Mash it Up" and create a project using the " Sketch & the Ghosting Technique". Awesome creation!! Love the dimension you've got going here! Well done! I love the image and think you absolutely achieved that aged, faded look. Great color combo too! 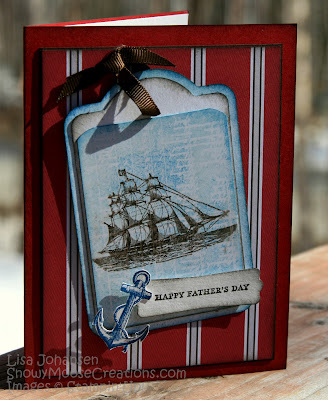 Fabulous creation Lisa, love the stamping you have done, wow! So cool on that tag. This is fantastic, Lisa! I hope I can find time to play this week. Love all of the layers...love the detailing...love the anchor in bthe corner! SEriously fabulous card!! Lisa this came out great.. I love the colors you used and what a great masculine card. I never did get this stamp set while it was available. Wow this looks fantastic in these bright colours! Reminds me that I don't make enough masculine cards! Wow! Can I just tell you how much I love this card! It is so awesome!! Such an elegant masculine card ! Love it.